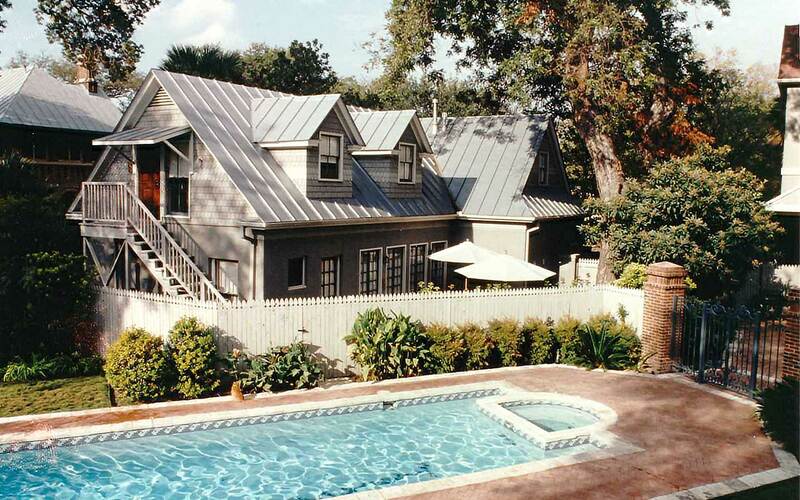 Nestled under a majestic century-old pecan tree, the Pancoast Carriage House offers a more secluded getaway near the River Walk perfect for San Antonio honeymoons, quiet vacations or small reunions at our bed and breakfast in San Antonio, TX. 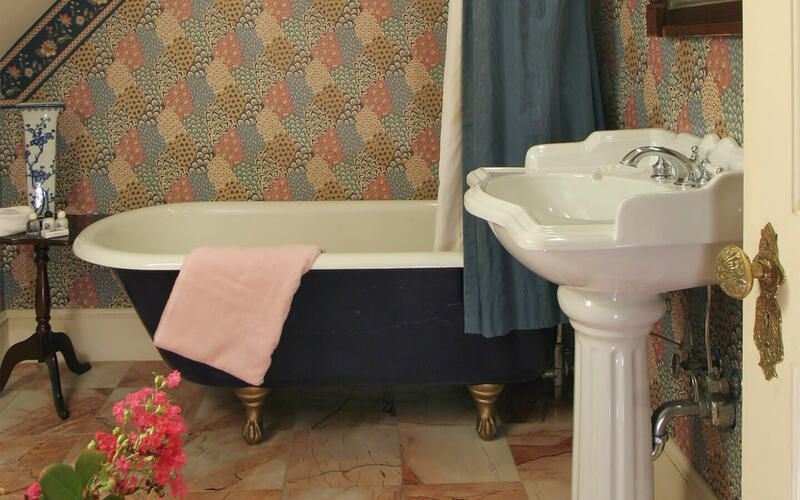 The suite and two rooms may be rented separately or in combination for larger groups traveling together. 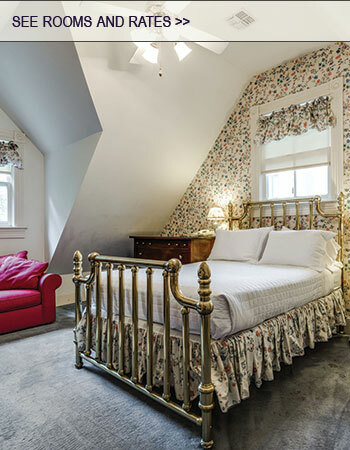 The privacy of the rooms at our bed and breakfast in San Antonio TX permits the Carriage House to welcome and accommodate children of all ages. The Carriage House is located directly across the street from The Oge House, and our office there provides all services desired by guests at the Carriage House. Breakfast: Breakfast is included with most of our rates, although we do offer rates that exclude breakfast (no-breakfast rates). If breakfast is included in your rate: for adult guests (no children in your party under 13), full breakfast is provided and served daily from 8:30 to 9:30 am in the Oge House dining room across the street. Our breakfast is a single set-menu that changes daily. Guests can also request a separate diet restrictive breakfast such as gluten free, vegan or dairy free breakfast (additional charge). For guests traveling with children under age 13, an expanded continental breakfast will be stocked daily in your kitchen and can be enjoyed at any time. Adult guests may also substitute continental breakfast; those attending conventions or business meetings, departing early or sleeping late may prefer this option. Minimum 48 hours advance notice is required for all special breakfast requests or changes. 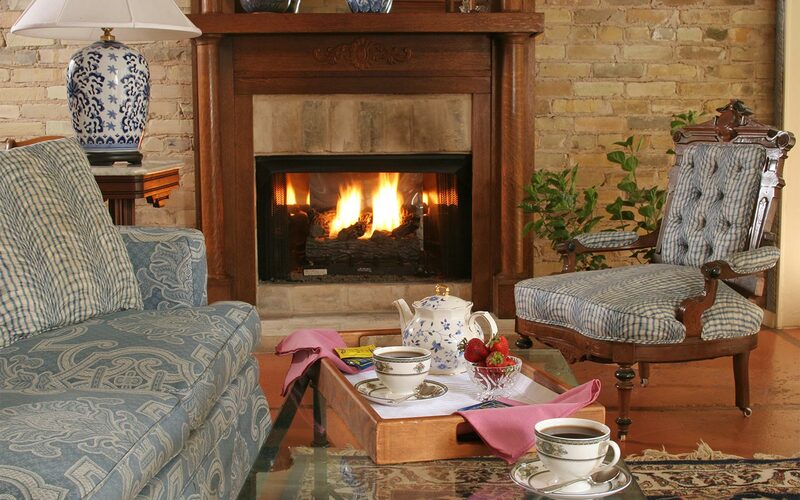 Each room at our San Antonio, TX bed and breakfast includes access to a full kitchen and dining area, providing guests the opportunity to prepare meals or simply have their favorite snacks and beverages on hand. Suite 1 occupies the entire 1st floor and has its own private living room, full kitchen and dining area. Rooms 2 and 3 are upstairs and have access to a shared living room, full kitchen and dining area. If Rooms 2 and 3 upstairs are rented together, the queen sofa-bed in the living area may be used to accommodate up to 6 guests total. Guests can relax on the shaded, private brick patio, with seating and a fountain. 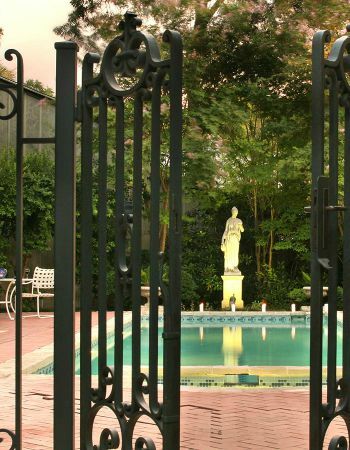 A gate opens into a separate, private garden with a swimming/lap pool and heated spa. 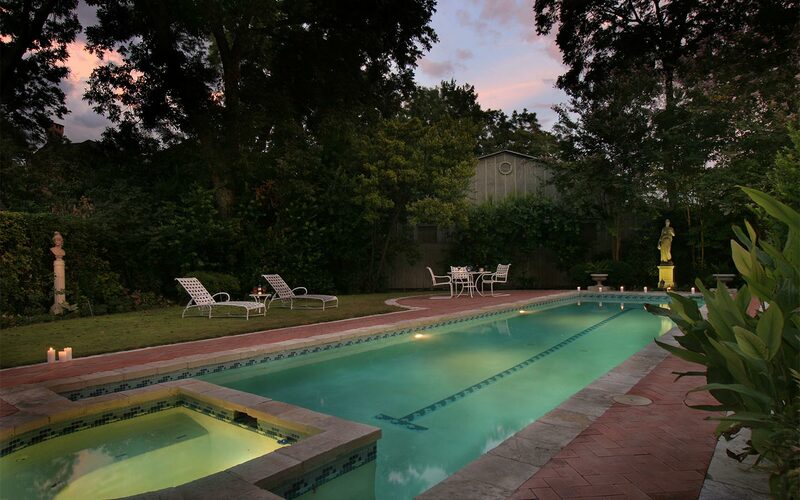 Enjoy a cup of coffee or read a book while basking in the sun by the pool at our bed and breakfast in San Antonio TX.